First: the good news. Fox is developing a new Simpsons movie, a Family Guy movie and a Bob’s Burgers movie, with all three coming and returning to the big screen. Woo hoo. Err, hang on, what’s this? 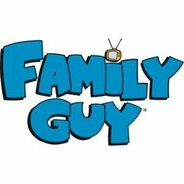 The Family Guy movie is reportedly a mix of animation and live action? Is that a good idea? I mean it worked well for Roger Rabbit but… Family Guy?